Places like hotels and shared office spaces may require advanced locks that can only be accessed by a handful of people. 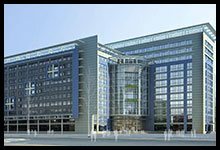 Some office buildings have multiple offices working on different floors and sometimes even on the same floor. Restricting entry of outside personnel becomes very important to protect the business and its data. 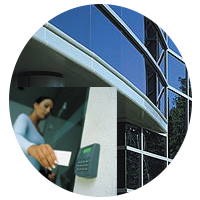 We provide keyless entry locks, digital locks and keypad locks that can only be used by authorized people. Our experts will sit with you and discuss your needs and advice the best for your business. Our highly trained technicians can handle any kind of commercial locksmith issue, including installation of high security locks, so you can keep your restaurant, bank or other business protected from theft, both internally and externally. Setting up a system for only authorized personnel that allows restricted access is also our specialty. The owner can create copies of the key and assign it to only selected people whom he/she wants to provide the access. 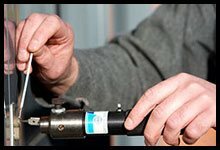 Our full range of locksmith services also includes installing restricted locks. Restricted locks add a layer of security to your facility because they cannot be copied, which means no one other than the key holder has access to secure rooms. If a restricted lock key is ever lost, we can quickly replace it via our emergency locksmith service, so you will never lose access, and no downtime will be experienced. 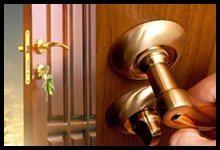 If you’re looking to install advance systems like high-security locks, keypad locks, deadbolts, magnetic locks, then we, Golden Locksmith Services, are your best bet. We have a long list of clients that use these services and they have never had any complaints. We constantly update locking systems and provide periodic maintenance for all our client systems. This way any lapse in security is negated and is a terrific strategy for providing high-level security, and keeping important assets and information safely behind locked doors. 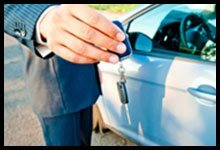 We also have a great deal of experience with master key systems at Golden Locksmith Services, which provides companies the flexibility of determining levels of access for employees at various levels of your organization chart. 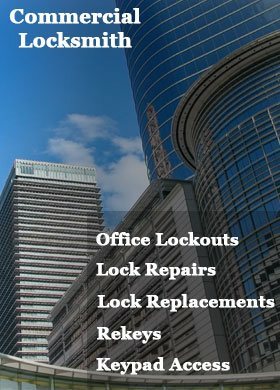 Large facilities like office buildings and hotels can also take advantage of our expertise in lock and locking systems, by consulting with our professional locksmiths about what might be appropriate for your specific facility. We'll be glad to assess your facility's locking systems and security needs, to determine if advanced locking systems are a good fit for your establishment. 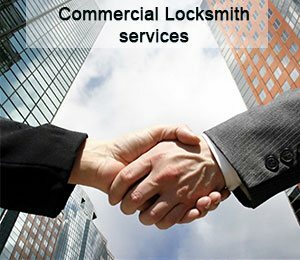 Get in touch with us @503-610-9268 and we will resolve all your commercial lock & locksmith issues.